The Cloud Nine Crocodile Clip boasts a unique and effective design to make your styling that little bit easier. 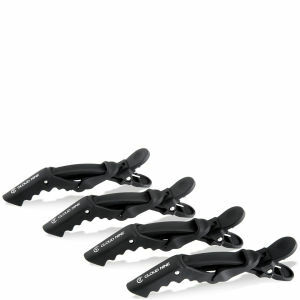 With a soft coating to give a gentle touch, the clip has a double hinge which gives a bigger bite, meaning that it can grab larger chunks of hair. Perfect for long or thick locks, the Cloud Nine Crocodile Clip comes in packs of four to ensure efficient styling. K.D.